Happy Friday, you guys!! 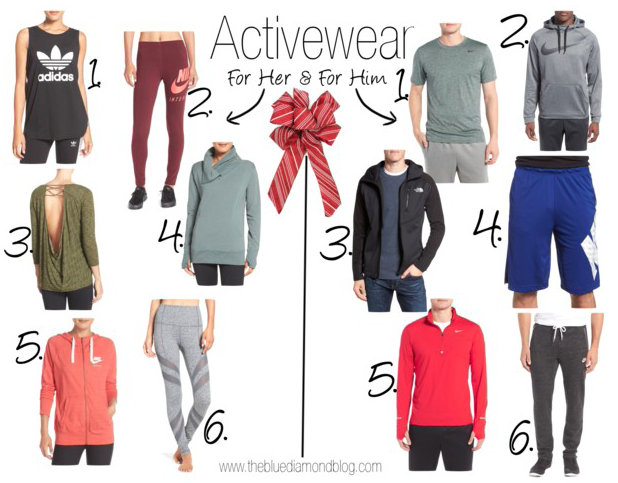 Today I decided to round up some activewear pieces! Almost all sizes are available in everything I linked and the majority is under $70 (except for the North Face jacket!)! I am obsessed with number 1 & 6 on the women's side! I want those Zella leggings so bad! !